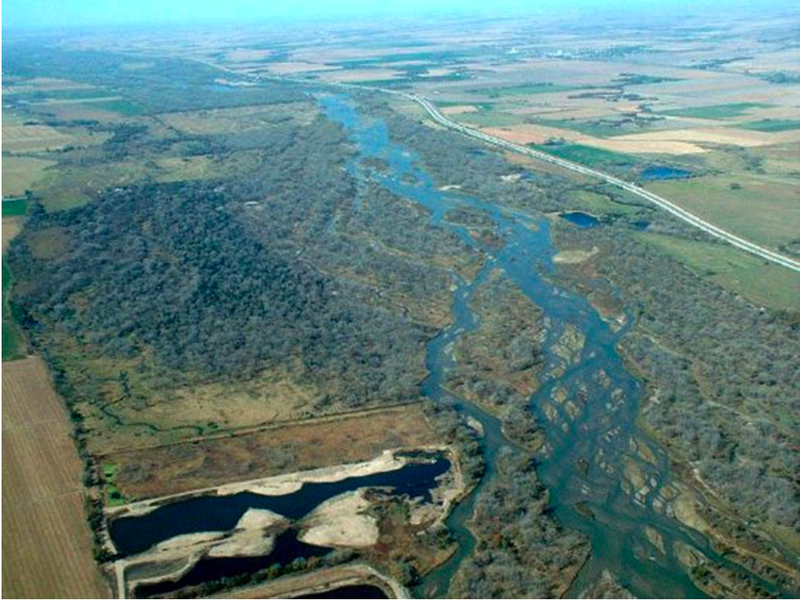 Platte River photo credit US Bureau of Reclamation. Winter in Colorado marks an exciting time of year. It means skiing, snowboarding, ice skating, snowshoeing, and ice fishing. But winter can also mean dangerous driving conditions. What we do to help mitigate dangerous road conditions can take a toll on our natural resources if we are not careful. What we put on our roads and driveways today may end up in our lakes, rivers, and streams tomorrow. Salt, sand, and deicers make their way into storm sewer systems and travel into local water bodies. Concentrated doses of chloride-based deicers are potentially lethal to aquatic plants and invertebrates. The introduction of sand to waterways can increase turbidity and degrade both the aesthetics and quality of the water. Consider these best practices during the winter to help reduce pollution in our local bodies of water. Shovel your driveway early during a snowfall and maintain it throughout. This will reduce the need for salt, sand, and other deicing agents by preventing ice from build-up on your driveway. Use deicers according to manufacturer’s recommendations and use salt and sand sparingly, and only as needed. Sweep up excess sand, salt, and deicers. Consider environmentally friendly alternatives like calcium magnesium acetate (CMA), or cracked corn for traction. Greeley officials plan to end a program at the beginning of 2019 that offers rebates on toilets and high-efficiency clothes washers as a result of dwindling participation and state regulations, according to a news release. The program, which started in 2006, offers up to $75 in rebates to customers who use high-efficiency residential toilets and $100 for washers. Quade said the city is working to develop more effective ways to work with the community on water efficiency. Officials said water conservation audits pair well with the rebate program. In Greeley, developers have historically been required to bring water to the table for any proposed development. Often, that water is associated with whatever piece of land the developer bought, so it’s an easy transfer. But when the land has already been dried up, developers are forced to hit the open market, competing with other developers to buy water at increasingly higher prices. In Greeley, there are fewer pieces of land with water rights still attached than ever before, and if Greeley wants to continue to grow — and city leaders say it must — officials say they’ve got to do something. Greeley’s solution, in the works since at least 2003, exchanges buckets of water for buckets of cash, as city leaders contemplate a transition to a system that allows developers to pay cash-in-lieu of water, a system officials say would be less burdensome on developers. That plan, based both on a dwindling supply of water and upon Greeley’s ability to potentially strike better deals, likely wouldn’t be approved until August. For Harold Evans, chairman of the Greeley Water and Sewer Board and a man who has experience in Colorado real estate, the plan would be good for everyone. Greeley’s water planning goes out to 2065, and the city has been engaged in an aggressive, multi-phase water buying plan during the past several years. The city owns most of the water in its projected growth area — the areas not yet within city limits but expected to be one day, areas like the ones between Weld County roads 17 and 13, north of U.S. 34. With that in mind, it’s easy to see why there are fewer water resources available for developers. Take Journey Homes, which is building a 400-home development at the southwest corner of 83rd Avenue and 10th Street in west Greeley. Journey Homes Principal Larry Buckendorf said water comes first in almost everything Journey does. Journey followed probably the simplest process available. It bought the land and the water that came with the land and deeded it to the city. But what happens when there’s no water attached to the land? That’s literally a growing problem as agriculture users sell their water rights to growing municipalities across the Front Range. The answer, for Greeley, is to let developers pay cash for water they don’t have. Buckendorf said it’s always good to have more options, and he said he has always enjoyed working with Greeley. Today, Greeley allows developers to pay cash-in-lieu of water for just 8 acre-feet of water. To give some perspective, Journey Homes’ development sits on 166 acres. Greeley requires 3 acre-feet of water for every acre of land. That means the city required 498 acre-feet of water from Journey, and Journey could bring cash to the table for just 8 of those. Switching fully to cash-in-lieu wouldn’t necessarily reduce developers’ costs, as Greeley will factor in not just the cost of water but the relative costs of storage expansion projects and system upkeep. But it would reduce the headache of buying water on the open market. A nice, round, roughly accurate number is $30,000 per acre-foot. If Journey paid cash, it would be out $14.9 million just in water — before selling a single home. To recoup those costs, Journey would need to take out about $40,000 from each of the 400 homes it’s building in west Greeley. That helps explain why housing affordability is so difficult to attain, officials say. “Before you’ve moved any dirt, before you’ve bought the land, before you’ve done anything, you have to calculate about $100,000 per each acre just for the water,” Greeley Community Development Director Brad Mueller said. It’s possible more housing stock would help drive prices lower, and Greeley does have room to grow. Today, Mueller said the city has more jobs than houses, and that’s an imbalance — although not the worst version of such an imbalance — city officials hope to fix at least in part by switching to the cash-in-lieu system. Brian Werner is the spokesman for the Northern Colorado Water Conservancy District, which manages a number of projects, including the Colorado-Big Thompson project. That project diverts water across the continental divide to the Front Range. Talk to anyone who knows water and they’ll say it’s the best water. Why? Well, first, it comes from high in the Rocky Mountains, fed by snowmelt. 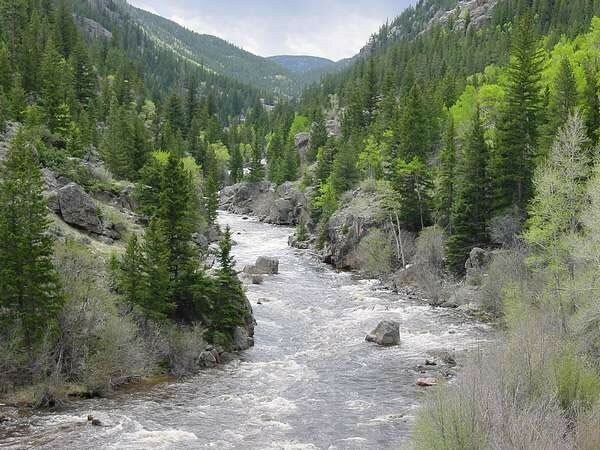 Second, unlike almost any other water source in Colorado, it can be used for anything in the South Platte River Basin, all the way to Julesberg and Nebraska, without a decade-long water court battle to change its use. To clarify, if a city buys water that has historically been used to water crops, it must go to court and get approval to use the water for residential development. Because there are no such requirements for CBT water, though, it’s costly. Werner said an auction earlier this year featured $30,000-per-unit prices. In 1957, the first year the CBT project was in operation, units sold for $1.50 apiece, Werner said. If CBT water shares simply followed inflation, they would cost $13.47 per share today, according to the Bureau of Labor Statistics inflation calculator. And back then, 85 percent of the units were owned by agriculture producers. Today, that’s 30 percent. Werner said that won’t get much lower, as there are a few large farming operations that might not ever sell. All of that, combined with developers needing the water to help Front Range cities grow, leads to price increases. It’s another reason Greeley is looking to switch to a cash-based system. But the same problem leads to different solutions. Many smaller water districts and municipalities are actually taking an opposite approach to the problem, forcing developers to bring water to the table so those water districts don’t have to deal with the open market. Werner said there’s no way to say either system represents a smarter approach to water policy, as a variety of factors affect any given water district. And he certainly wouldn’t criticize Greeley, a city he uses as an example of proper water planning. Knight said without the impending change to the way Greeley manages water, it would be difficult if not impossible for new development to move forward. It begs a question, though: Is there pressure to grow at the expense of smart water policy? Even if Knight and Mueller said they’ve never felt that pressure, there’s enough at stake that Greeley regularly studies its neighbor municipalities when it comes to water and development policy. Every five years, the city looks at prices and trends and compares itself with others. The most recent study, completed in July 2015 by BBC Research and Consulting, cost $41,876.27, and the study looked at the 21 fastest-growing municipalities across the Front Range. That study showed Greeley’s costs, including the amount of water required to be deeded to the city, impact fees and tap fees, were above average among those municipalities, and called the high cost of water significant for developers and new homebuyers. The prices have only gone up since July 2015, but even then, Greeley’s costs were $36,271 per home — $8,000 higher than average. With CBT shares going for $5,000 more today than before, the costs are closer to $40,000 per home today. Some of the other municipalities were similar, including Johnstown, which was higher in 2015 at $35,000 per home, and Windsor ($28,500 per home). Others were far lower, including $11,375 in Evans and $10,000 for the Central Weld Water District, which covers a vast swath of rural Weld County from Evans and Kersey down to Firestone. Longmont and Lafayette were below $10,000. So how does Greeley compete for new development with costs like that? Buckendorf said the costs tend to shake out in the end. Knight said Greeley sets its rates in such a way as to ensure the city recoups the necessary costs, and typically that leaves Greeley somewhere in the middle of the city’s Front Range neighbors. “It’s important for Greeley residents to appreciate that we have a current water board and history of water board members who have been very serious stewards of the water for the community,” Mueller said. The city has a variety of construction projects on the horizon for 2018, but none are more costly than those projects related to water. Greeley’s portion of a new reservoir will cost $38.2 million, and the city will spend $44.4 million to renovate the Bellvue Water Treatment Plant near the mouth of the Poudre Canyon. Bellvue has been in operation one way or another for more than 100 years. Water-related projects often are paid for through municipal bonds, and the city’s water department is allowed to take on the debt without a vote of the residents because it is an enterprise fund and can charge more for services to pay down the debt. Seaman Reservoir upstream of confluence of the North Fork of the Cache la Poudre River. Photo credit Greg Hobbs. Expanding the 5,000-acre-foot capacity reservoir has been on Greeley officials’ to-do list for more than a decade. But the type of work the city is planning takes a lot of time, mainly because it involves the federal government. » Greeley has never expanded any of its six reservoirs, and most have been around for nearly a century. » Increasing Seaman to 53,000 acre-feet of water from 5,000 acre-feet will put Greeley in position to satisfy the city’s water needs for decades. (An acre foot of water is enough water for two families to use for a year). The city uses between 25,000-30,000 acre-feet of water per year: That’s expected to reach 40,000 acre-feet by 2030. Right now, Greeley is working with a consultant and in conjunction with the Army Corps of Engineers to develop an environmental impact statement. Greeley is still about two years away from having a draft of that statement. In the meantime, Greeley officials are working to secure more water rights. The city doesn’t have enough rights to fill the expanded Seaman Reservoir. They’re 40 percent there, and as Reckentine said, it’s an everyday process. Every year, in fact, Greeley commits millions toward purchasing water rights. Expanding the reservoir could cost $95 million more just in construction costs, according to an estimate provided in a Colorado Water Conservation Board document. Water rights come from a variety of places, including retiring farms. Today, Greeley typically uses its reservoirs as drought protection. 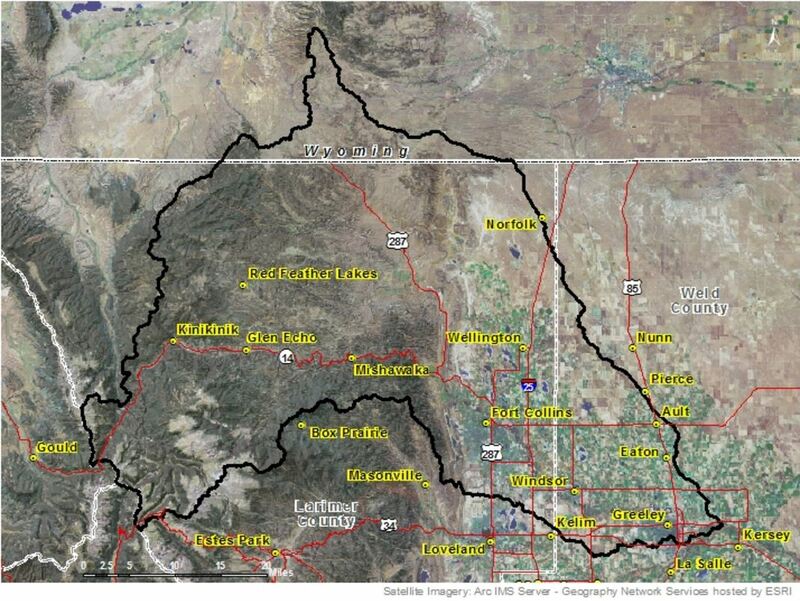 Basically, Greeley has water rights from the Colorado, Poudre, Laramie and Big Thompson rivers. But whether Greeley is able to get all of the water it’s owed depends on the rivers’ flow levels. In drier years, Greeley would have to do without some of that water. That’s where reservoirs come in. Evans said the first reservoirs were used to finish Greeley area crops when river flows weren’t strong enough to do so in late fall. Snowmelt and water diverted into reservoirs could be tapped for that purpose. Evans said it’s like putting money in the bank. Pound-for-pound, water’s worth more than money, though. If and when the Seaman Reservoir expansion is complete, Greeley will likely use some of the water from that reservoir every year. For Evans, that’s a perfect example, among many, of an investment in the future. Evans mentions the new pipeline from the Bellvue Water Treatment Plant being installed now, with a lifespan of 75-100 years. The Seaman Reservoir has been around since the 1940s. The Seaman Reservoir expansion will put Greeley in a good position, but Deputy Director of Greeley Water Eric Reckentine hesitates to call it the final answer. » Maintain what you have — Greeley has reinforced water lines with concrete and fiberglass to reduce leaks. » Secure supply to stay ahead of demand — The Windy Gap Project, which ensured water during lean times, is an example of this. » Build storage for the lean times — The Milton Seaman Reservoir expansion project is the best example of this. » Conserve the water you have — Greeley has a state-approved water conservation plan, and the new water budgets are another example of conservation. » Barnes Meadow Reservoir — Built in 1922 and located across Colo. 14 from Chambers Lake in the Roosevelt National Park, Barnes Meadow Reservoir holds 2,349 acre-feet of water. » Peterson Lake Reservoir — Built in 1922, and located southwest of Chambers Lake and adjacent to Colo. 156, Peterson Lake Reservoir holds 1,183 acre-feet of water. » Comanche Reservoir — Built in 1924, and located along Beaver Creek and west of the Colorado State University Mountain campus, the Comanche Reservoir holds 2,628 acre-feet of water. » Hourglass Reservoir — Built in 1898, and also located along Beaver Creek and west of the Colorado State University Mountain campus, the Hourglass Reservoir holds 1,693 acre-feet of water. » Twin Lakes Reservoir — Built in 1924, and located southwest of Pingree Park off Colo. 14, Twin Lakes Reservoir holds 278 acre-feet of water. Doug Billingsley doesn’t know what he’s going to do to replicate the peace and quiet of his work when he retires and re-enters the hubbub of normal life. Greeley pays Billingsley to live at Milton Seaman Reservoir, about 15-20 minutes from the mouth of the Poudre Canyon. Billingsley lives in a city-provided house, and has lived there for the past eight years with his wife, who suffers from multiple sclerosis, and her caretaker. Billingsley monitors the Seaman Reservoir. The reservoir is Greeley’s largest, and its water levels can rise and fall quickly. He must ensure the banks and dams are sound and functioning properly, and he’s charged with releasing water down the Poudre Canyon when necessary. Call him the water shepherd. He’s used to the solitude, if not the quiet. The city pays him a salary as well as his living expenses. But there’s a catch: He’s on call 24 hours per day, seven days per week. The floods of 2013 are a prime example. And Billingsley spent the better part of a week stuck at home after a bridge went out, trapping folks up the canyon. Of course, he had to monitor Seaman’s water levels during the flood, as well. Billingsley’s wife loves having him at home every night, and he loves being there. Apart from animals there’s nothing to bother a Seaman Reservoir caretaker. They’ve seen elk, mountain lions, bears, but none of them hurt anybody, he says. Greeley ought to bottle this stuff. The water in your tap — the stuff you pay pennies per gallon for — just earned recognition as the best tasting water in the United States. This week, the American Water Works Association rated Greeley’s water the best tasting in the nation, as Greeley beat out 33 other regional winners. The city also became the first to win the national competition and People’s Choice Award at the organization’s annual conference in the 13-year history of the competition. Greeley also is the first Colorado municipality to win the award. And then there’s this: This was the first year Greeley has entered the contest. Still, Knight said the awards didn’t tell him anything he didn’t already know. Now that they have, Knight and others are pondering how, exactly, they’ll spike the football. There are strict rules for the water competition. Greeley was sent special containers and coolers. Officials took water from one of the treatment plants and shipped it off to Philadelphia, where the annual convention was held. Once there, contest officials remove any labels to ensure a blind taste test for judges. To get there, Greeley had to win its regional competition last fall. And as a result of its national win this year, Greeley gets an automatic bid to the national competition next year. “If you’re the Broncos, and you win the Super Bowl, you want to defend your title,” Knight said. But that’s for next year. For now, Greeley officials are happy celebrating the victory. Otto said he’s proud of the tradition and legacy of water in Greeley, saying the award is an affirmation of that. “W.D. 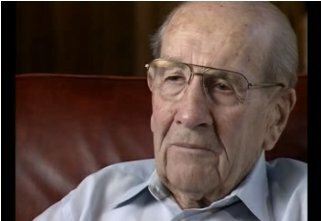 Farr has a big smile on his face in heaven right now,” Otto said, referencing the Greeley water pioneer. 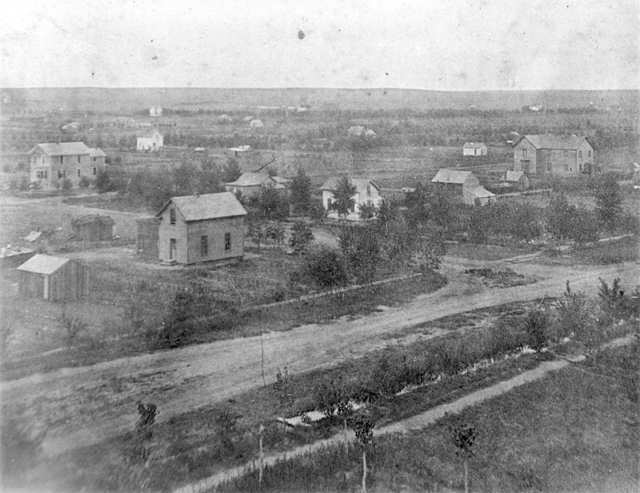 After Farr died, Greeley bottled some of the town’s water, labeling it “Greeley Gold.” Otto still has a bottle. “I would put Greeley’s water supply up against any bottled water across the country,” Otto said. Greeley, a city known for both agriculture and food processing businesses, can now boast it has the best tasting tap water in the United States and Canada. The Greeley Water and Sewer Department won the 13th annual “Best of the Best” Tap Water Taste Test conducted by the American Water Works Association. Montpelier, Ohio, took second place and Bloomington, Minn., had the third-best tasting tap water. Greeley represented the Rocky Mountain Section of the American Water Works Association in the contest held in Philadelphia, Pa. The Rocky Mountain group includes water companies from cities in Colorado, Wyoming and New Mexico, said Greg Baker, spokesman for the organization. It is the first time that any member of the Rocky Mountain association has won the contest, Baker said. The event, composed of regional winners from water-tasting competitions across North America, was held at American Water Works Association’s Annual Conference and Exposition in Philadelphia, Pennsylvania. Fifteen regions participated in the contest, including some in Canada and Puerto Rico. The Greeley Water & Sewer Board invites residents to this year’s facility tour to learn more about how water and sewer is treated, where the water comes from, and the various ways water is used. Residents will tour the Water Pollution Control Facility (WPCF) and Boyd Lake facilities and learn about system exchanges, points of diversion, and non-potable systems. A light breakfast and lunch will be provided. Those interested in attending should contact Ettie Arnold at 970-350-9812 before June 23. Space is limited. Get more information about Greeley’s Water System at http://www.greeleygov.com/water.